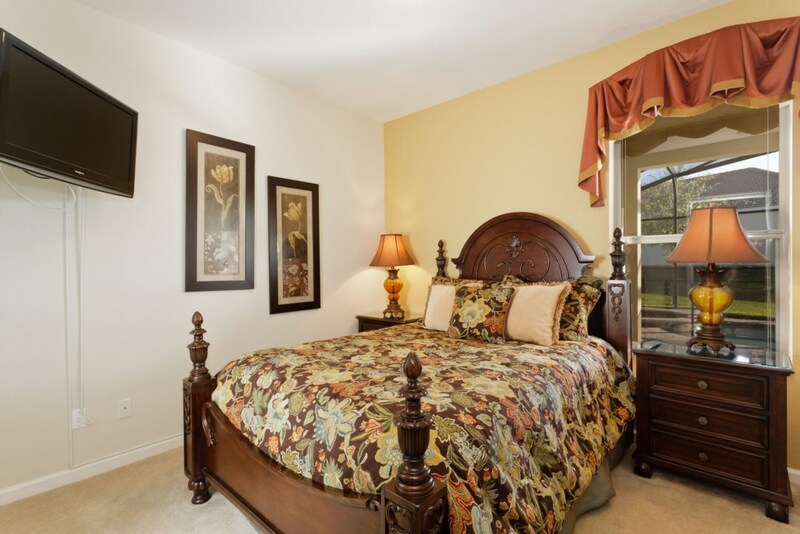 Welcome to this magnificent home located in the resort community of Windsor Hills. 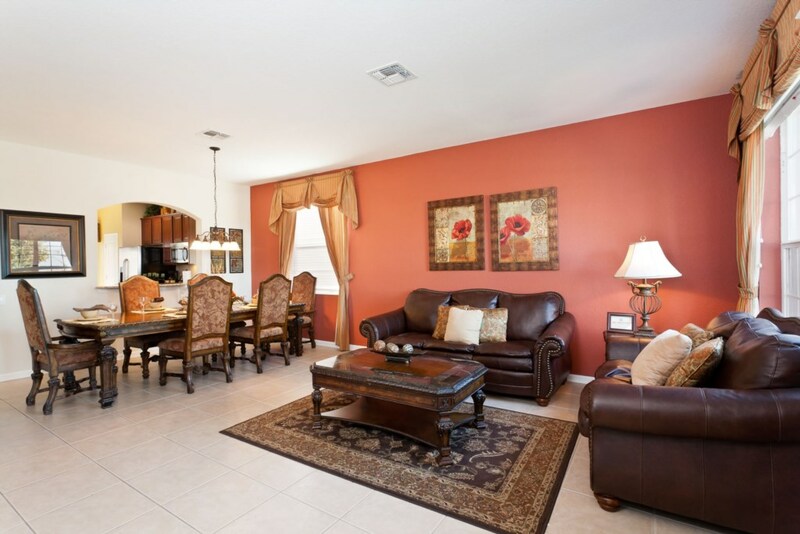 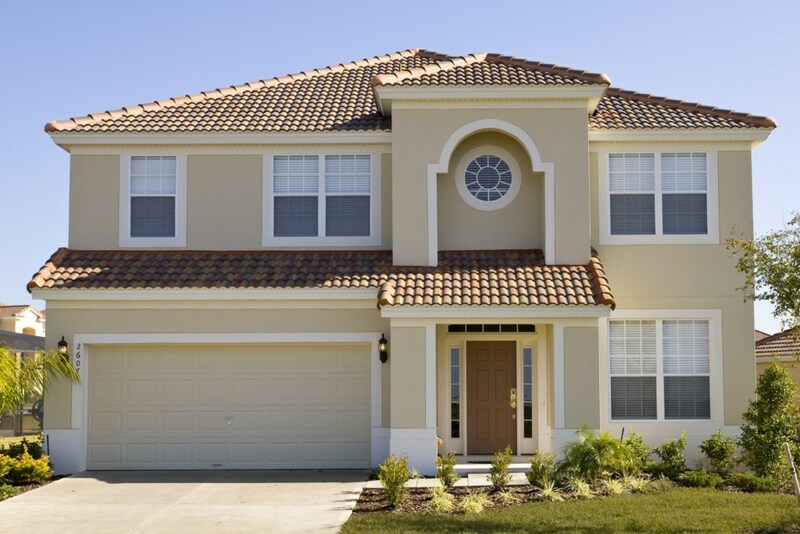 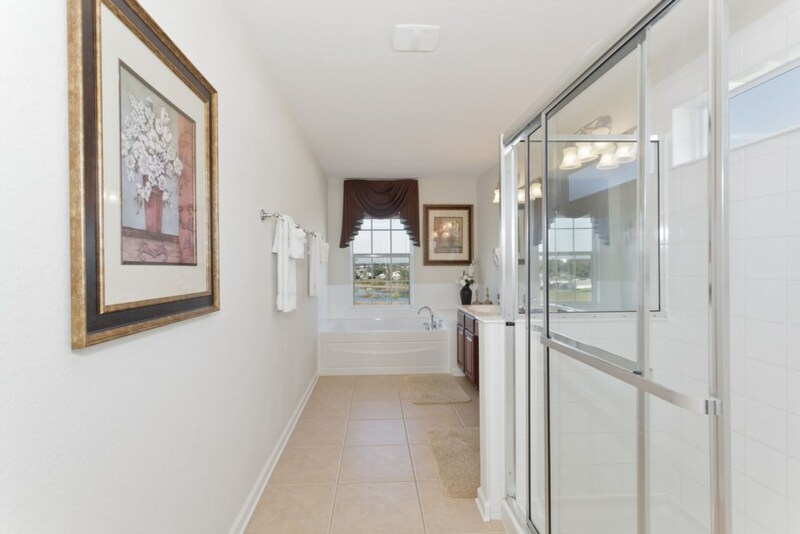 This gorgeous 5 bedroom, 4 bathroom home is sure to make your stay in central Florida the perfect vacation. 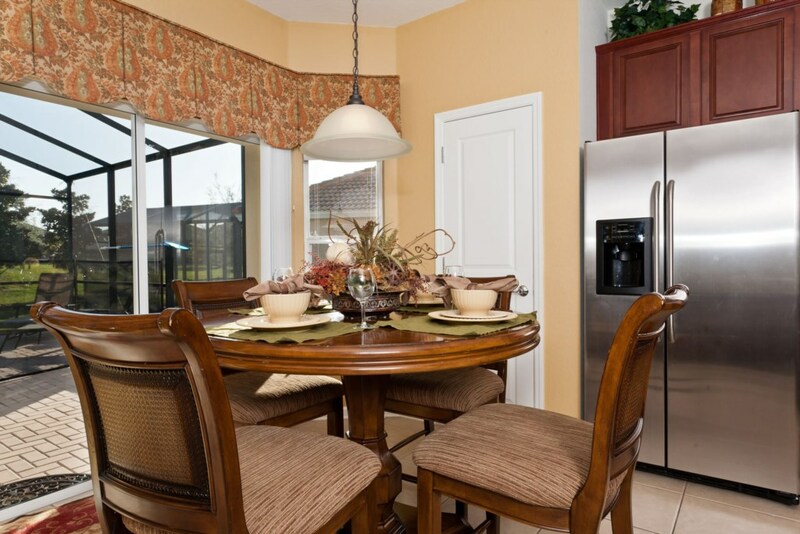 As you enter this home, you immediately get a sense of warmth and comfort from the homey atmosphere. 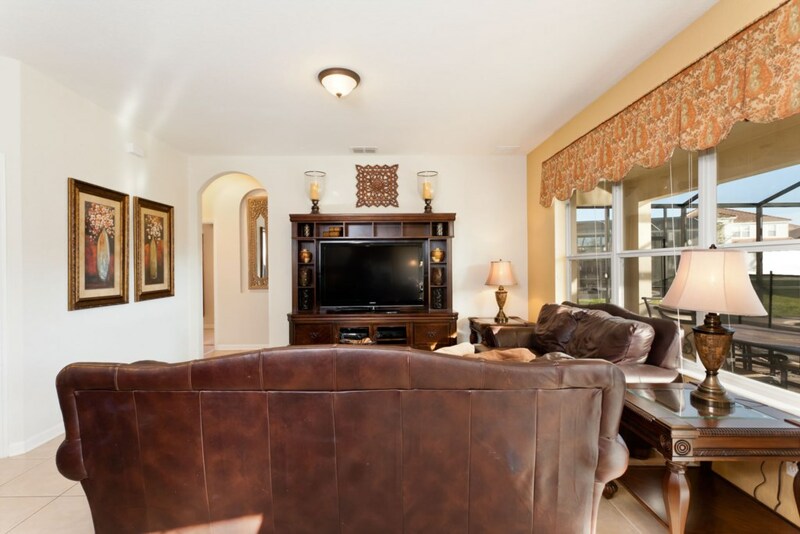 The two downstairs living rooms are packed with comfortable leather furniture, both surrounding 52” flat screen TV’s. 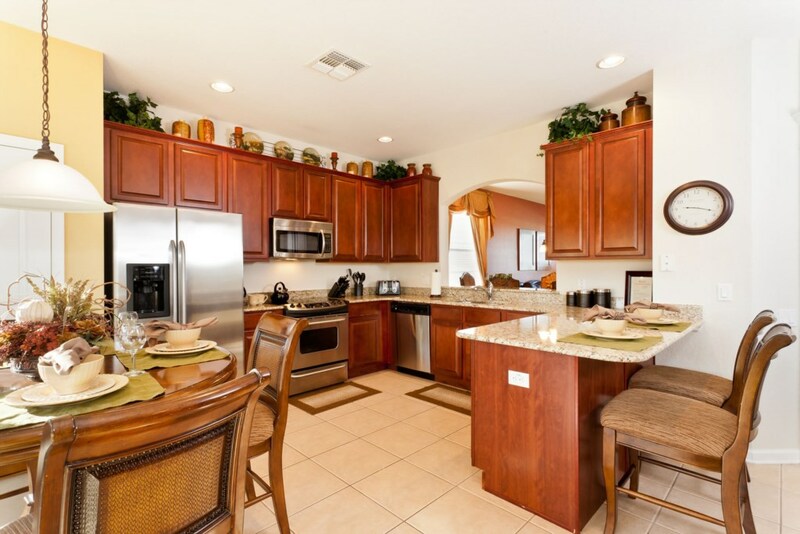 The kitchen in this home is perfect for cooking up big family feasts or small snacks to get you through the day. 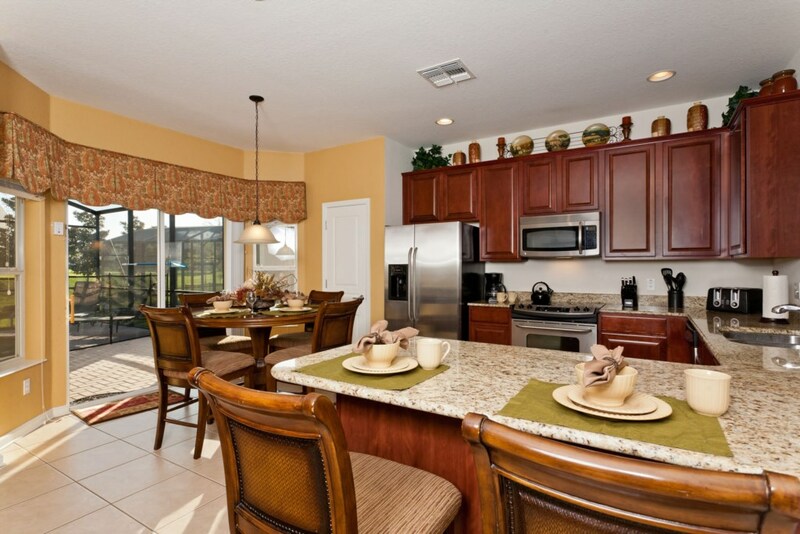 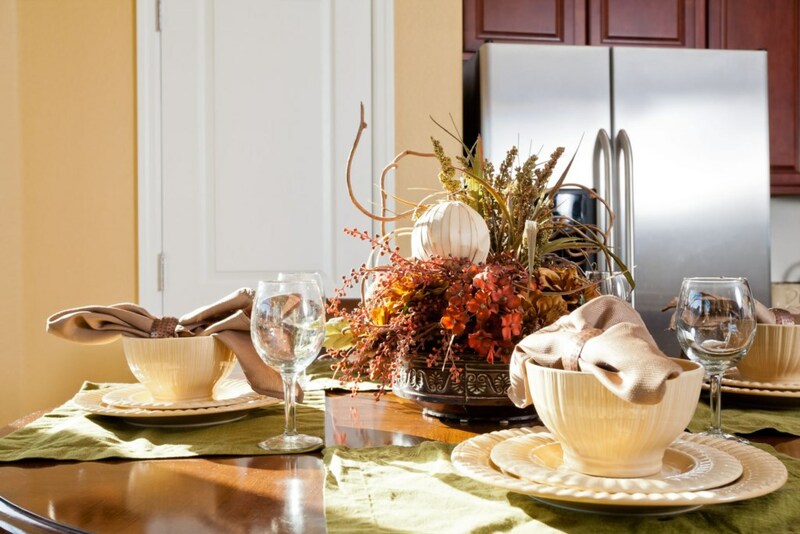 With granite countertops and all the comforts of home, you’ll be ready to whip up anything at a moment's notice. 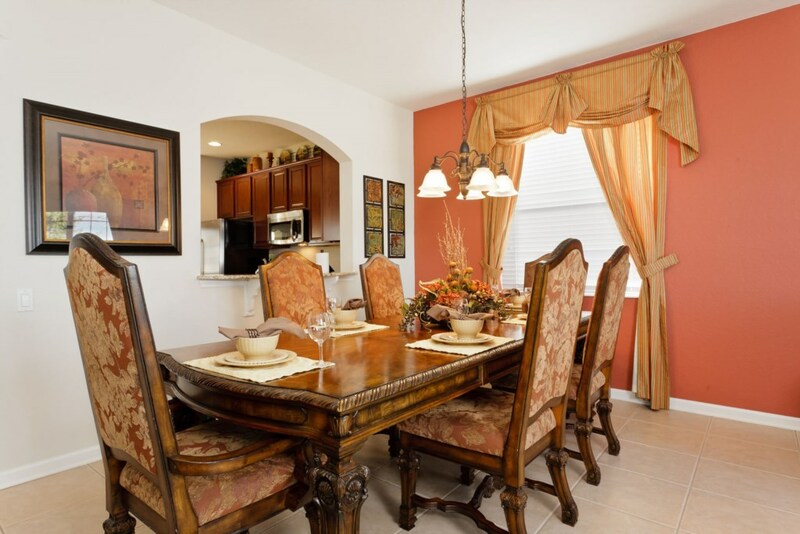 The formal dining room seats 6 while the breakfast nook seats 4. 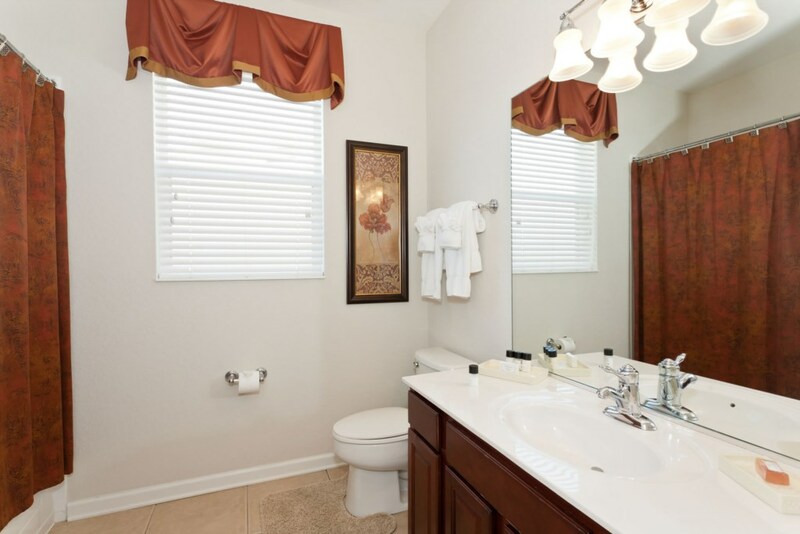 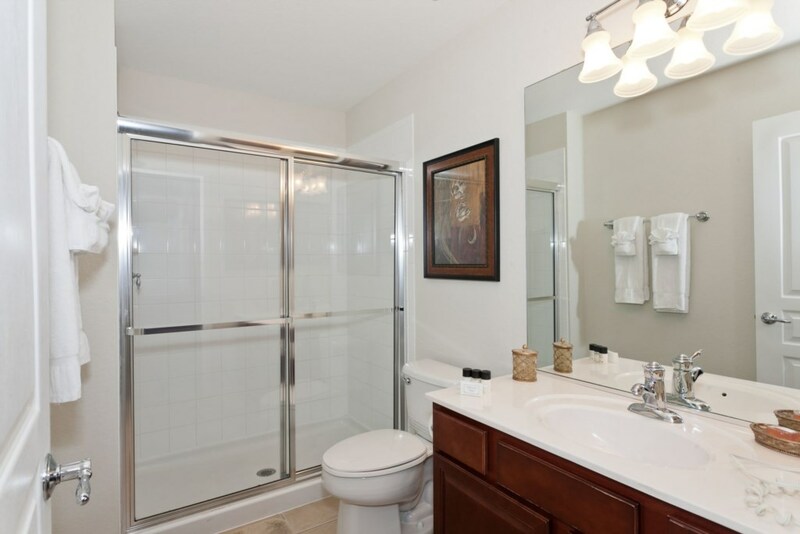 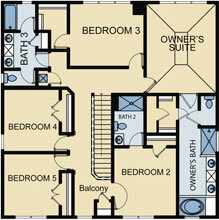 This home also has a washer and dryer as well as free WiFi for you and your guests to use anytime. 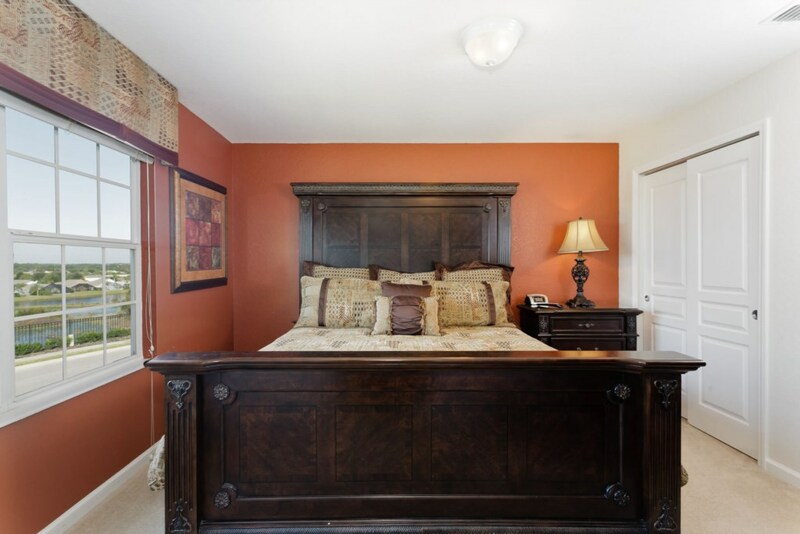 With 5 bedrooms, this home sleeps up to 10 very comfortably. 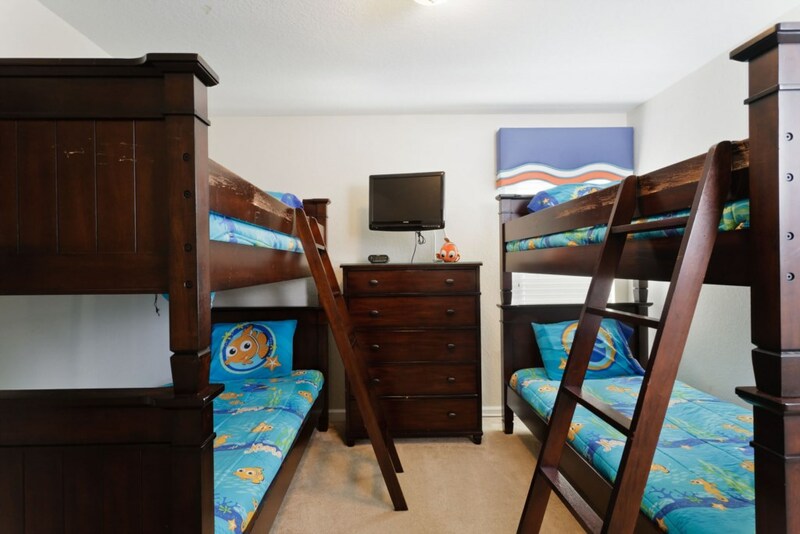 With 2 king bedrooms, 1 queen bedroom, 1 room with 2 twins and 1 room with 2 sets of twin bunks, this home allows you and your guests to have your own slice of paradise on your vacation. 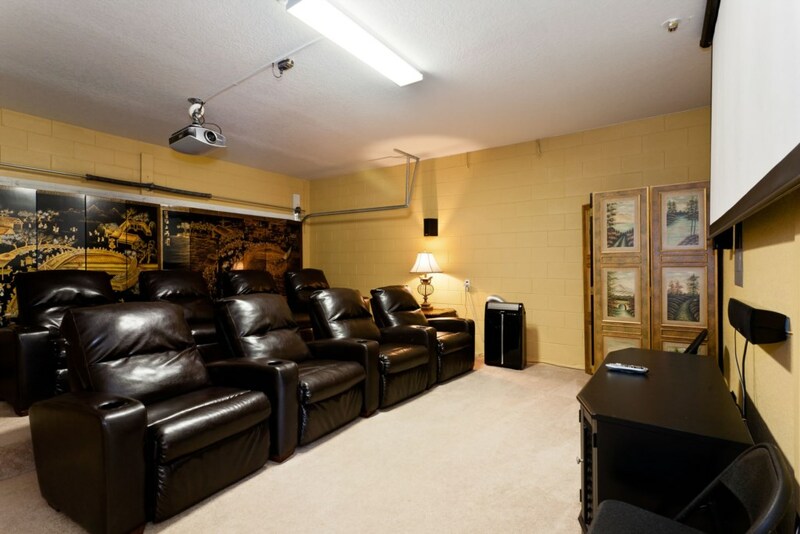 One of the greatest things about this home is the garage, renovated to be a home movie theatre. 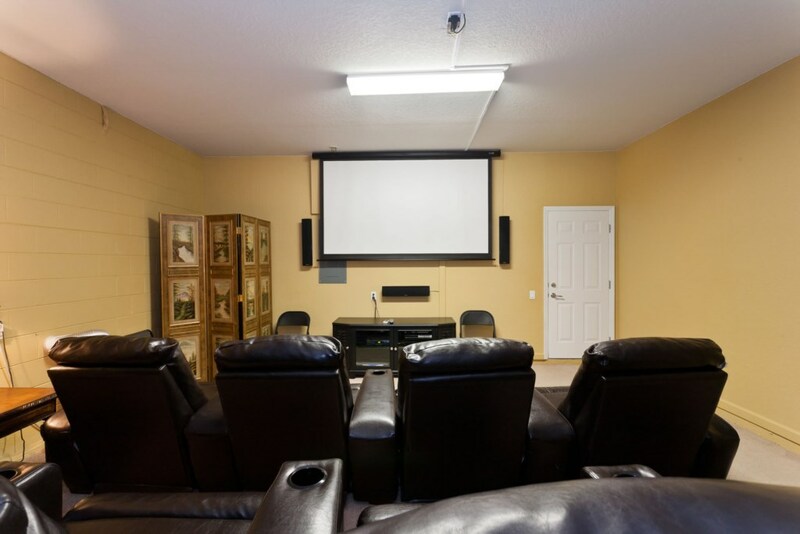 Enjoy your favorite DVD’s in your own theatre. 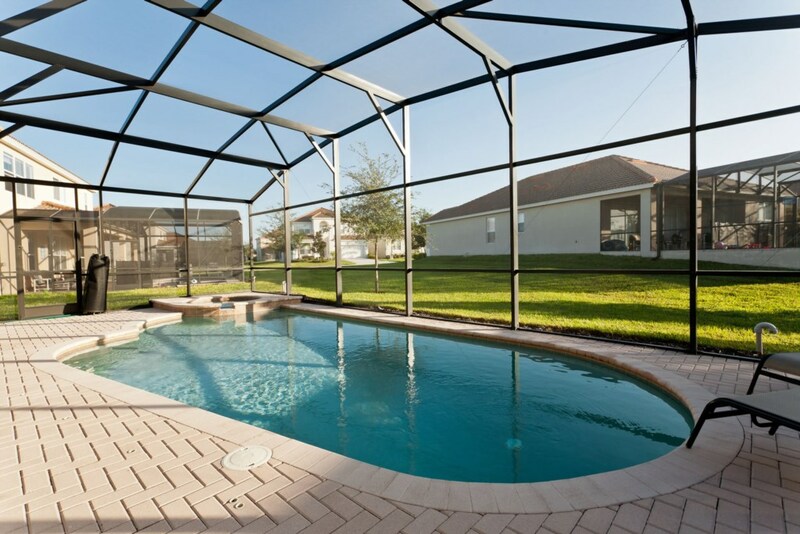 After you watch a few movies, head out back to this home's own pool and spa. 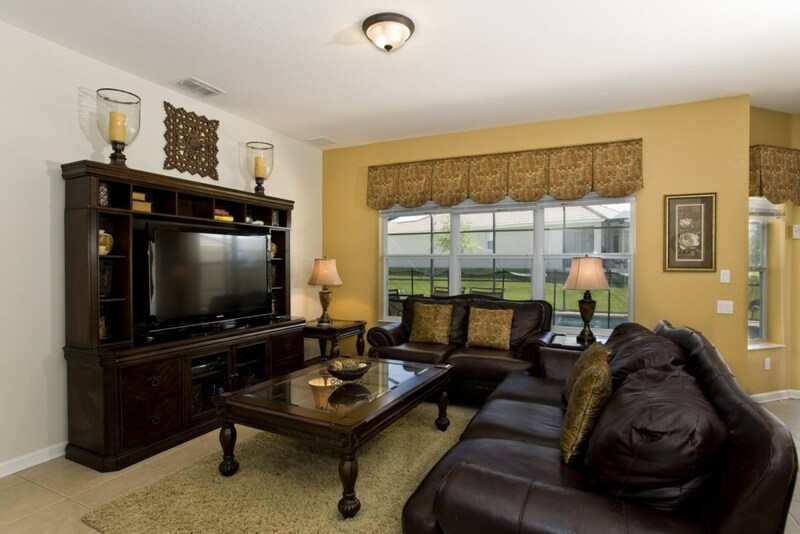 The gorgeous pool, screened in patio and outdoor dining table make this a vacationers paradise. 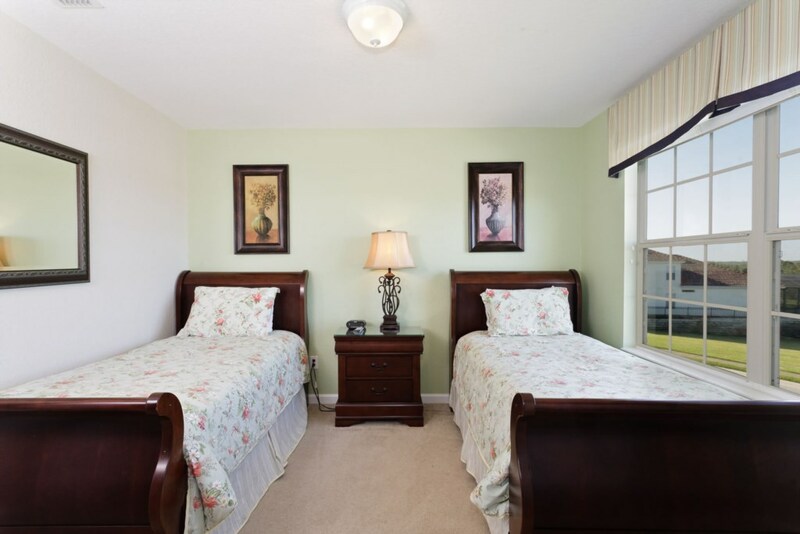 If that’s not enough, Windsor Hills also has an incredible clubhouse. 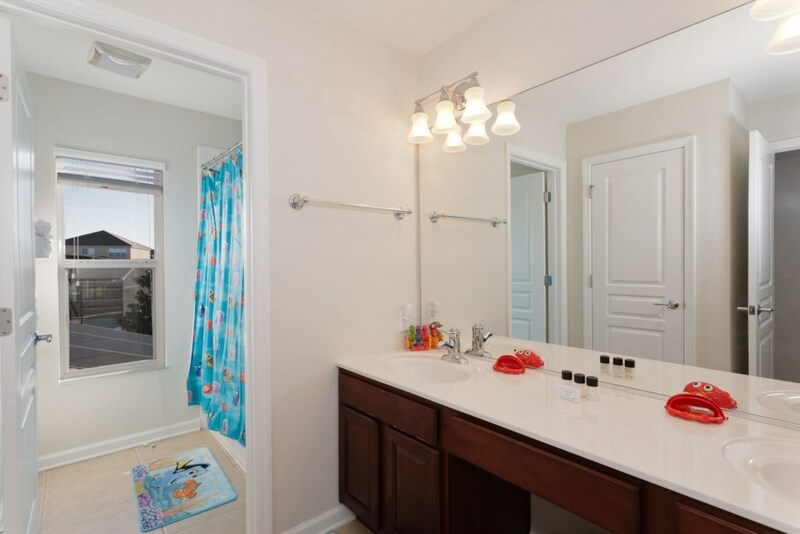 With a movie theater, waterslide and a zero entry pool, you will have all you need right in the gated resort community of Windsor Hills.